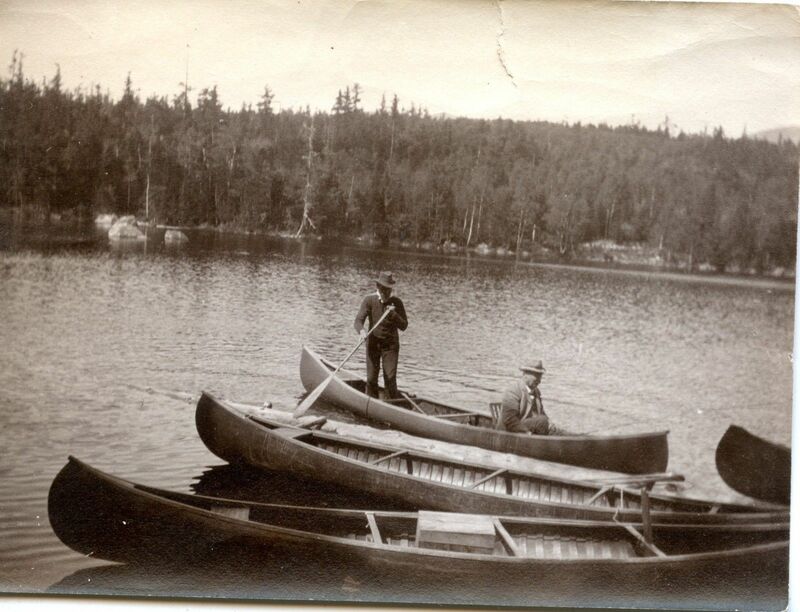 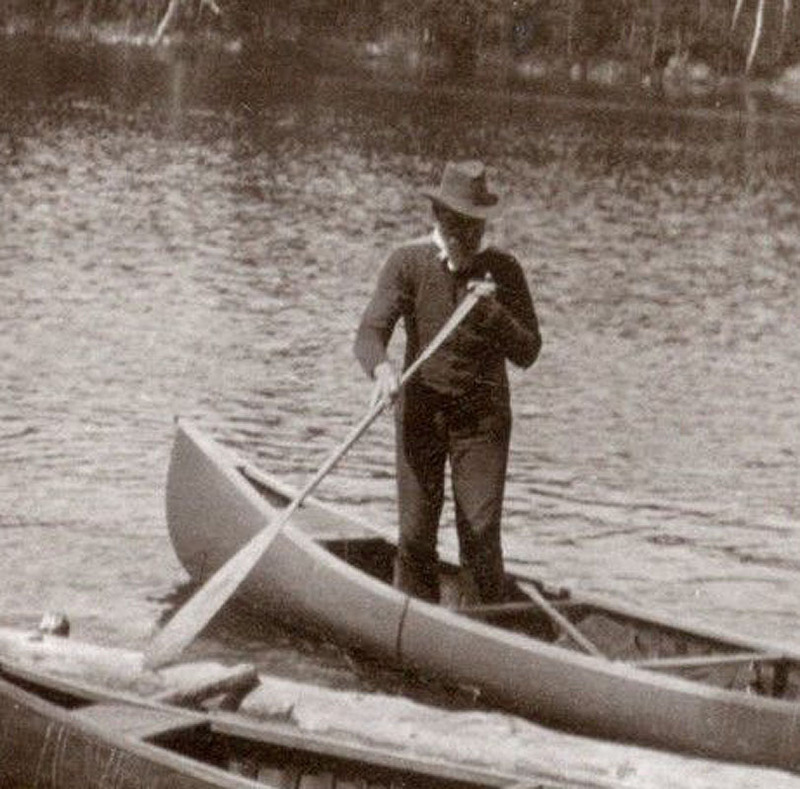 Here's a vintage photo from this Ebay Ad featuring a Guide standing up in the stern of his wood canvas canoe while a passenger takes a seat in the bow. A closeup revelas the Guide's long paddle resting on the dock to stabilize the canoe. The stern seat is mounted far to the rear and high up along the gunnels.